On Tuesday, October 9th, we hosted the ML community in France to celebrate the launch of our AI Lab. We wanted to make this event about the evolution of AI in and so we invited an impressive list of speakers to share their views about the future of AI. 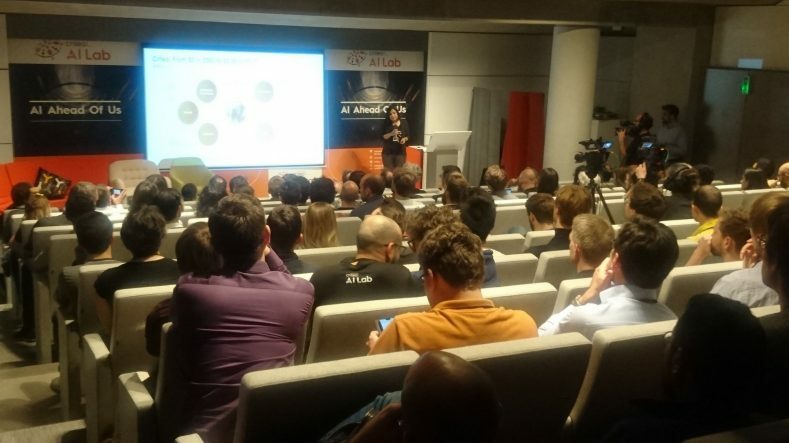 We started the event with a few words from Suju Rajan, Head of the Criteo AI Lab, who explained how Criteo leverages AI and makes our AI Lab unique. The Criteo AI Lab is blend of researchers and scientists whose mission is to work on ML problems inspired by the domain of computational advertising. Besides, the research component, the Lab is able to also contribute strategically to re-imagine the space of online advertising. She also presented the many ways in which we give back to the ML community in France and abroad : open datasets, faculty research grants, joint PhDs, part-time positions that allow faculty to continue their teaching duties-to name a few. Then we had the privilege of having a keynote delivered by Prof. Michael I. Jordan. 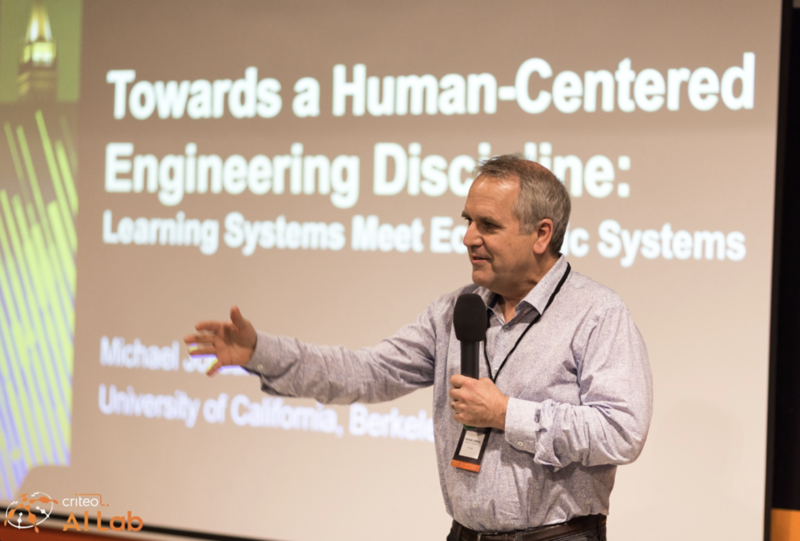 Mike Jordan is a Distinguished Professor at UC Berkeley, an award-winner researcher, named “Most Influential Computer Scientist” in 2016, whose former doctoral students now count among the most renowned ML researchers in the world. Professor Jordan delivered an inspiring keynote. First by rejecting the carry-all term “Artificial Intelligence” that he feels is over-hyped. He says that autonomy (of thought) is not a required feature and rather than building such a generalized AI, we should strive to build systems that work well with humans as well as with each other. He distinguished first the Human Imitative approaches, which to him lie very, very far in the future. Those are the intelligent robots made popular by the 70’s science fiction books and movies. Building such sentient machines would be very hard to do but are not required to bring about a lot of interesting things to our society. Then, he identified the Augmented Intelligence, which are systems (like Recommender Systems) that allow people to perform a task better. An Augmented Intelligence system still requires an actual human to validate the results. You can have an AI create hours of music but only a human can actually decide whether the created music is beautiful or not. Finally, he described the Intelligent Infrastructures. 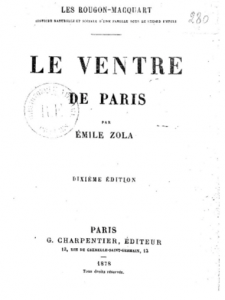 Quoting Émile Zola’s “Le Ventre de Paris”, he described a city as a living organism, fed by the motions of thousands of trains or trucks. He made the case for intelligent systems that optimize logistics or large-scale decision problems. Augmented Intelligence and Intelligent Infrastructure are the two areas where researchers and engineers should focus their work on, at least if they want their work to have an actual measurable impact within their lifetimes. Finally, Professor Jordan made a solid case that Augmented Intelligence systems could be easily used to create marketplaces in which producers could directly reach their consumers. With the example of artists and their audiences. 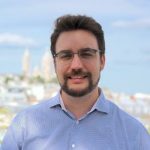 He believes that economics and AI should be used together to create new forms of value exchanges, thereby creating new jobs rather than destroying them. As a bonus, we also got to learn about Ray, the high-performance distributed execution system built by his research group at Berkeley that showed impressive speed-ups in training efficiency. Naila Murray made an interesting observation around deep learning having unlocked new capabilities that we are currently “exploiting” in many applications , but that the gains from this field which could likely plateau in the coming years . In response to Jean-Philippe Vert’s observation about the compute power in industry that accelerates research, Francis Bach countered that sometimes constrained compute environments also result in creative research. While we can’t do justice to all of the interesting discussions, we covered topics such as collaboration between industry and academia, whether we would reach a plateau on ML, whether theory was lagging behind practice, etc. We were also very proud to hear Stéphane Mallat’s remark that Criteo AI Lab is setting an example on how a French company can succeed in building a world-class AI Lab. We finished the talks with a word from our CTO, Dan Teodosiu. Dan insisted on the importance of creating in France more companies based on machine learning and AI. He also stressed the fact that we as a community need to focus not only on creating individual labs that excel at ML but also need to spread that knowledge in the larger community for France to become a global force in this domain. We were happy to continue the interesting discussions around drinks and food. 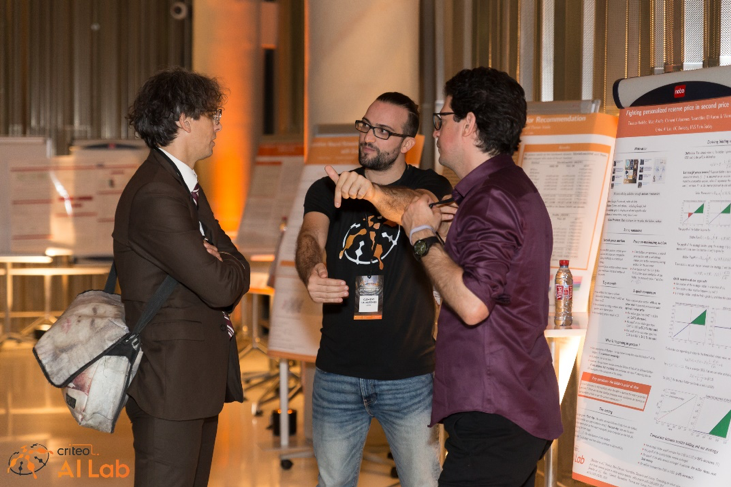 Many people also dropped by the several posters describing the various papers that Criteo AI Lab had published recently. 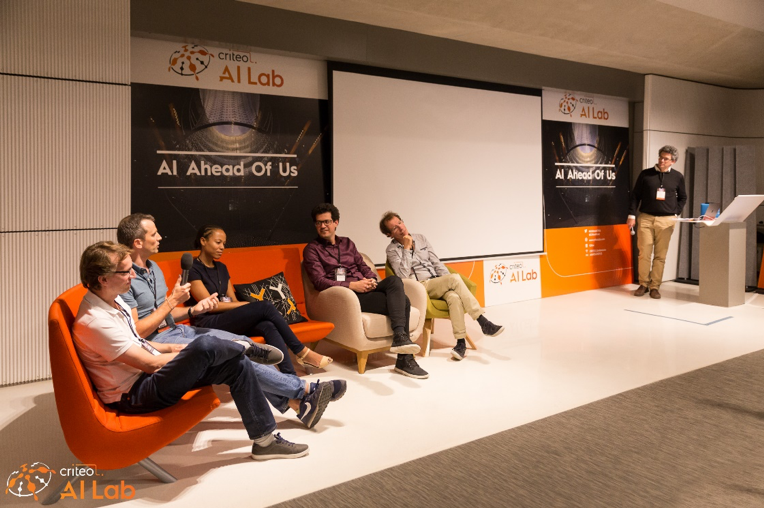 The “AI Ahead Of Us” was truly a great way to officially kick-off the AI Lab in the ML community. For those designing AI & ML systems that impact users, events such as these, helps one to look at their work through different perspectives. The future for “Augmented Intelligence” is indeed very bright and we are thrilled to be on this ride!